Role models are essential, particularly to groups under-represented. In the first half of the 20th century, women around the industrialized world were told that exerting themselves too much in sports would not only be unlady-like, it might be bad for their health. In America, one woman refuted those assumptions, brashly. Babe Didrikson was the female version of Jim Thorpe. Whatever sport she took up, she did very well, often better than most others, female or male. She was an exceptional diver, bowler, baseball player and roller skater. Out of high school, she was the star on the Employers’ Casualty Insurance Company of Dallas women’s basketball team. 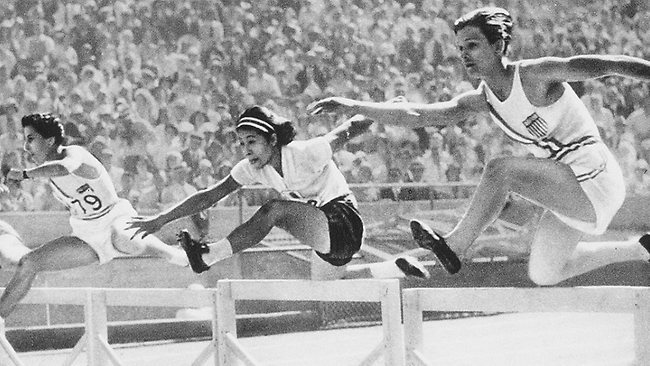 At the national track and field championships in 1932, the one that would determine participation in the 1932 Los Angeles Olympics, Didrikson won an amazing six events – the broad jump, the shot put, the javelin, the 80-meter hurdles, the baseball throw, as well as tying for first in the high jump – all in a three-hour period. Her individual total points of 30 was greater than the next best team score of 22 points, accumulated by 22 athletes. At the 1932 Olympics, Didrikson would win two gold medals and a silver and become one of the sensations of the Los Angeles Games. And she was just getting started. Packing star power, Didrikson was able to get paid in ways that other female athletes could only dream of: singing and playing the harmonica on vaudeville, doing so while hitting plastic golf balls into the delirious audience…making thousands of dollars per month, a king’s ransom in those days. In 1934, Didrikson began to play golf seriously, and went on to become the best female golfer in the world, wining 82 golf tournaments as an amateur and a professional. For one stretch in 1946 and 1947, she won 14 straight gold tournaments. Her influence was so great that she co-founded the LPGA – the Ladies Professional Golf Association. But she was a pioneer, so she had to do so under challenging conditions. People around her and the press in particular would call her gender in to question, openly telling her to stay home. “It would be much better if she and her ilk stayed at home, got themselves prettied up and waited for the phone to ring,” one sports columnist wrote in the New York World-Telegram. What is surprising, according to this New York Times article, is that the great Mildred “Babe” Didrikson, who was named “Woman Athlete of the Half Century” in 1950, is little known today, her museum in Beaumont, Texas, rarely visited. While girls who like sports today have a growing number of female role models in the 21st century, one of the greatest took the world by storm some 70 to 80 years ago. And this Babe is worth a look. 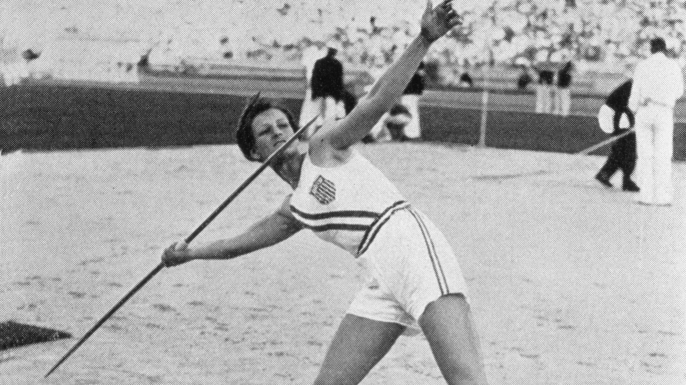 Posted in Gender, Other Olympics, Track and FIeld and tagged 1932 Los Angeles Olympics, Babe Didrikson Zaharias, golf, high jump, hurdles, javelin, vaudeville. Bookmark the permalink.